When politics played out on the Hill seven years ago, the mandatory survey was kept on life support. A copy of Statistics Canada's 2016 Long-Form Census mailer is seen in the mailbox of a residence in Toronto, May 3, 2016. OTTAWA — As a political brawl played out on Parliament Hill seven years ago over the cancellation of the long-form census, Statistics Canada quietly kept the mandatory survey on life support, waiting for the day it might again come in handy. It's the latest layer on the paint-by-numbers population portrait Statistics Canada began unveiling earlier this year: a population boom out West and a spike in the number of households; a historically high number of seniors; children living at home longer; and more generations than ever living under a single Canadian roof, among other flourishes of fact. Wednesday's release is expected to show immigrants making up a larger share of the population, with more and more of them settling in western Canada, along with additional insight into how they, their children and their grandchildren are doing at making ends meet. After the previous Conservative government cancelled the long-form census in 2010, Wayne Smith, then the country's chief statistician, was among the senior managers who had agency workers quietly prepare a mandatory survey that would be ready for a government change of heart — or a change of government. It's not clear whether the agency will make any comparative use of 2011's national household survey, a voluntary substitute that was quickly panned due to problems with data quality. Instead, Statistics Canada is expected to focus on comparing the latest numbers to their 2006 counterparts — a sign the agency would rather forget what Smith called a difficult period that produced a blip in census history. When the previous Conservative government cancelled the mandatory survey in 2010, citing privacy concerns, Statistics Canada invested in efforts to create a statistical register of the population from government holdings, known as administrative data. Michael Wolfson, a former assistant chief statistician, said the national household survey gave the agency "the raison d'etre to for a much stronger push into developing administrative data sources." Agency officials had previously been uneasy about the concept, fearing a leak of details would result in a "privacy Armageddon," Smith said. But the Conservatives were nonetheless keen on creating the digital register. So census officials mined government information holdings like birth certificates, immigration records, driver's licences and tax files with greater zeal to build profiles of almost every Canadian, plug any data gaps in the voluntary survey, and potentially replace large swaths of the questionnaire. 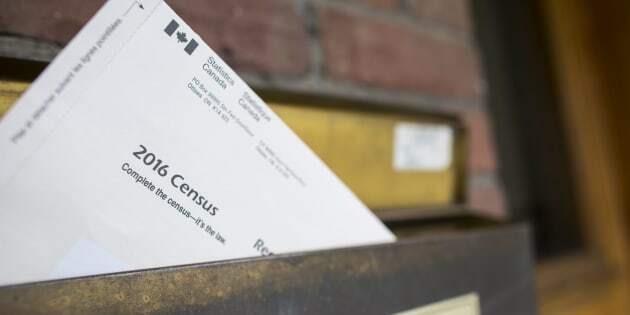 Statistics Canada hopes to use parts of statistical register in time for the 2021 census and potentially replace the short-form questionnaire beginning in 2026. In an August report, Statistics Canada said it had used CRA's administrative data, federal immigration and citizenship records — along with details from provinces and territories — to create national, provincial and territorial population counts it says are comparable to the 2011 results. Only in cities and small towns did the model fall short. "You can have the equivalent to census data for a large number of variables every year, or even continuously for that matter," said Smith, who oversaw some of the work before resigning last year as chief statistician. That could free up resources to focus surveys on items captured in the census that aren't available in any administrative source, such as ethnicity, visible minority status and Aboriginal identity — all questions the statistics office will answer this week, said Michael Haan, an associate professor in the school of sociology at Western University in London, Ont. "You won't have to fill out lots of information on your household composition because we can get that from other data sources," he said. "But those files will be supplemented by a shorter survey about the things that don't exist on administrative files."